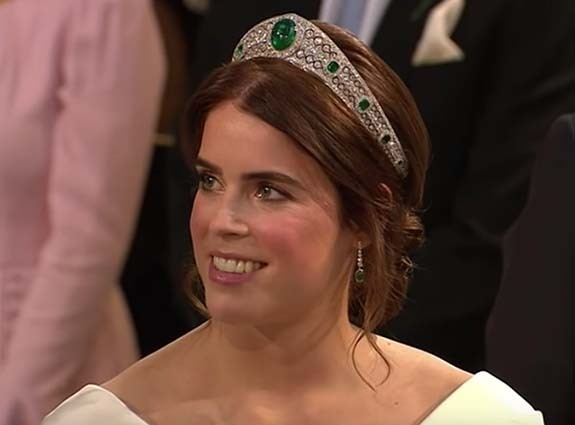 The emerald tiara was originally designed for Dame Margaret Greville in 1919 by Parisian jewelry house Boucheron. 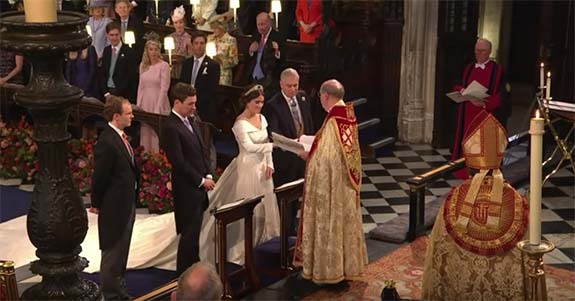 The tiara reflects the “kokoshnik” style popularized by the Russian Imperial Court and introduced into western Europe after the Russian Revolution. 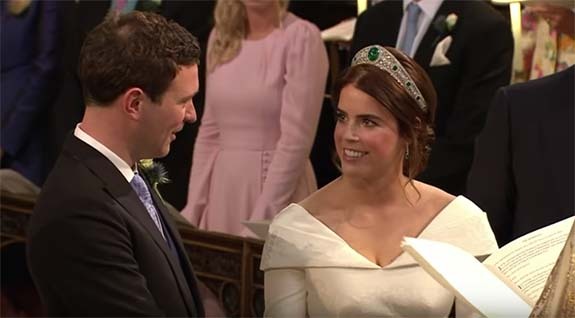 Instead, Princess Eugenie decided to “go green.” Her emerald tiara was complemented by emerald drop earrings, a gift from the 32-year-old groom. During the marriage ceremony at St. George’s Chapel, Brooksbank placed a simple gold wedding band on his bride’s finger. Despite its simplicity, the ring reflects a rich royal family tradition. Since the Queen Mother’s wedding in 1923, the royal family’s wedding bands have been crafted of pure Welsh gold, sourced at the Clogau mine in Bontddu.